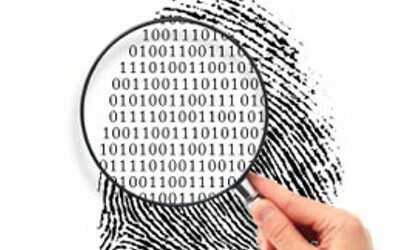 What is Digit Analysis and Why it Should be of Interest to Construction Attorneys? Benford’s Law was named after Frank Benford, a General Electric physicist. Mr. Benford was the first to discover that “leading digits” do not follow a uniform distribution pattern as suggested by intuition. If you are like me, the response to such a statement is “huh”? But stick with me because this is important stuff to anyone who suspects a claim presentation may have been rigged, a bit here or a bit there, or maybe all over. It turns out that calculations purportedly based upon naturally, randomly occurring numbers may have been contrived. By “randomly occurring” we mean numbers that occur naturally without human interference as opposed to a contrived selection. Said another way, it is now accepted as a mathematical truth that the pattern of numbers randomly generated can be distinguished from numbers influenced by human intervention. Yikes, glad you told me that before I prepared my taxes. Benford’s Law, according to Dr. Stephen J. Huxley’s, author of “Why Benford’s Law Works and How to Do Digit Analysis on Spreadsheets,” University of San Francisco, McLaren School of Business, “the distribution of first digits of numbers generated by no known systematic process follows a logarithmic pattern: Probability (1st digit = n) = log (1 + 1/n).” Got it? No? I didn’t think so. If you want the more technical explanation, read the book, but what follows is a very high level and severely truncated overview. Again, according to Dr. Huxley, a digit analysis is “any analytical procedure which examines the digit and number patterns with the object of detecting abnormal recurrences or patterns of digits, digit combinations, or specific number.” In this context, “abnormal” is scientific talk for “contrived.” OMG! Can this be so? Yes, get use to it. Digit analysis now used by the IRS can also be used by a forensic construction accountant to determine if numbers reported in a construction claim were manipulated. Examiners are utilizing the process to catch embezzlers, detecting contrivances such as rounding up, duplicating numbers, duplicate invoices by the same or “shadow” vendors; daily rates of return, and on and on. To demonstrate (randomness) to beginning students of probability, I often ask them to do the following homework assignment the first day. They are either to flip a coin 200 times and record the results or merely pretend to flip a coin and fake the results. The next day I amaze them by glancing at each student’s list and correctly separating nearly all the true from the faked data. The fact in this case is that in a truly random sequence of 200 tosses it is extremely likely that a run of six heads or six tails will occur…but the average person…will rarely include runs of that length. So What Does This Mean to Construction Lawyers Dealing With Reams of Data Purporting to Support Neutral Calculations? First, it means there all tools to randomly determine whether the books may have been cooked. Professional statisticians have several tools to detect such manipulated data. Obviously I will not attempt to explain them here. Just know they exists. However, to give you something to terrorize your friends with at cocktail parties (wait until after April 15th) you may want to give them the following examples. The significant-digit law – the empirical observation that in naturally occurring numerical tables, the leading significant (non zero) digit is not uniformly distributed in 1 through 9. The frequency of random first digits decreases in frequency from 1, the highest, through 9 , the lowest. If a single distribution is picked at random it is certain to be scale-dependent. You can also tell your cocktail friends that the IRS has developed model files for the line items “Interest Paid” and “Interest Received” indicating that the significant digits for these items are an exceedingly close fit to Benford’s Law when these calculations were calculated from random numbers. Conversely, fabricated interest numbers, complied by test groups asked to provide numbers randomly, deviated consistently from the Benford model for randomly selected numbers. Finally, your friends will be thrilled to know that law enforcement official are using the now named “goodness” test to help identify fraudulent financial data. And, according to the New York Times, the State of California, as well as many other state tax enforcement agencies are using software based on Benford’s Law, as a means of identifying targets for audits. Well, that is enough for now. The question for construction lawyers is should you be using such tools when confronted with a suspect claim. School District Gets Expensive Lesson on Prompt Payment Law. But Did the Court Get it Right?